Are You Burned Out on Your Job? You don't want to get out of bed in the morning, and always feel tired no matter how much sleep you've had. During the day, you feel unmotivated, bored and perhaps depressed at work. You feel overwhelmed and like you have lost control over things at work (and at home). You have lost interest in the things that you used to find exciting. You find yourself being more irritable or angry. You are experiencing more physical aches, pains, headaches, stomach problems, or chest pains and find yourself sick more often than before. When you are at home, you feel anxious, angry and disconnected from your family members. If several of these symptoms describe you, you likely are experiencing job burnout. Job (or career) burnout is occurring when you experience a prolonged period of being physically, mentally, emotionally and spiritually drained and see no possibility of things getting better. You have lost perspective on why you're doing what you're doing. You may feel like you are on a meaningless, never-ending treadmill or that you are trapped in an inescapable prison cell. Fatigue, stress and hopelessness are your constant companions. Job burnout is usually caused by prolonged periods of stress and frustration. In today's workplace, there is no shortage of either of those elements. The threat of layoffs creates anxiety; so employees work harder and longer hours to demonstrate their value. Those who survive layoffs often have to work harder to do the work previously done by those who were let go. While some career fields-such as health care, ministry and other helping careers-have statistically higher rates of burnout, there are factors that can lead to burnout in any job or career. Some of the most common causes of job burnout are unclear expectations, unreachable expectations, poor communication from those above, low pay, lack of recognition and little sense of personal control. One of the biggest causes of job burnout, however, is being in the wrong job or career. You may know that you have been in the wrong field since the beginning, or perhaps you find that you have lost interest in work you once found enjoyable. Some people are in the right career field, but need a different work environment. Others need a career change in order to move into a job that fits their God-given design. 1. Determine what you need. The first step in overcoming burnout is figuring out what is causing it. Taking even fifteen minutes to think about your boss, working conditions, job responsibilities, working environment, and your company's mission, goals and treatment of its employees is an essential starting point. 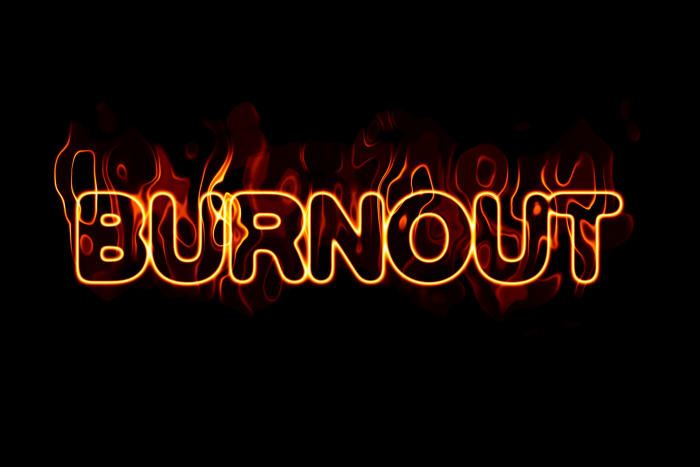 Burnout is personal; what is affecting you may be different than what bothers your co-workers. Make a list of the key factors that have a negative impact on you. 2. Seek to change the negative factors in your work. One reason people feel burnout is a lack of control over what happens to them. You may need to step out of your comfort zone to confront some of these factors, but you will gain a sense of personal empowerment when you are successful. If you are unclear about your boss' priorities for your work, for example, and find yourself stressed because you're perpetually unsure if you are meeting expectations, schedule a meeting to get her input on what she wants you to accomplish in your position. While you may feel like you are taking some risks in seeking change, you have to ask yourself what has the higher cost: trying to make positive changes or enduring the current situation. 3. Make time for yourself. This is especially important if you are a working parent, and find that every waking minute is devoted to meeting someone else's needs. You can't go on indefinitely like this. Find time to take 15-minute "vacations" to read a magazine, take a walk, play a computer game or visit with a friend. Schedule a few hours each month to do something that recharges your batteries like playing a sport, taking an enrichment class or going to the theater or a museum. Exercise regularly and do other things to treat yourself well. You need to take care of yourself if you are going to continue taking care of other people and responsibilities. 4. Make your faith a priority. We lose hope when we aren't focused on God. We become anxious when we focus on fear rather than faith. Our lives seem meaningless when we forget why God put us on this earth. It is easy to let our lives get off-kilter in this world. Staying on-course with God's plan for your life requires "seeking first the kingdom of God." Choose to schedule in Bible reading, prayer, regular worship and service activities. Your life is about much more than your work! You are an indispensable part of God's eternal plan. He loves you and wants you to experience an abundant, soul-satisfying life. 5. Plan your career change. If none of the above activities are enough to change your circumstances, you may need to make a career change. Consider hiring a career coach to help you expedite the process and make confident career decisions. You can take control of your career future. You don't have to stay stuck. Taking a small step-such as learning the steps of good career planning or seeing what career coaching and career testing are all about-will start the momentum that can turn your life around. Don't delay-take steps today to overcome your job burnout and begin feeling enthusiastic about your life!